Back in early 2012 the world of switching was disrupted by a bold newcomer. For the first time the benefits of centralizing management in the cloud were applied to the switch network, and the life of the network admin became significantly easier. Suddenly switches could be prepared for deployment without even removing them from their boxes. Units could simply be shipped directly to sites and while in transit have their config pre-staged, so that the recipient merely needed to power them on and connect them to the Internet. 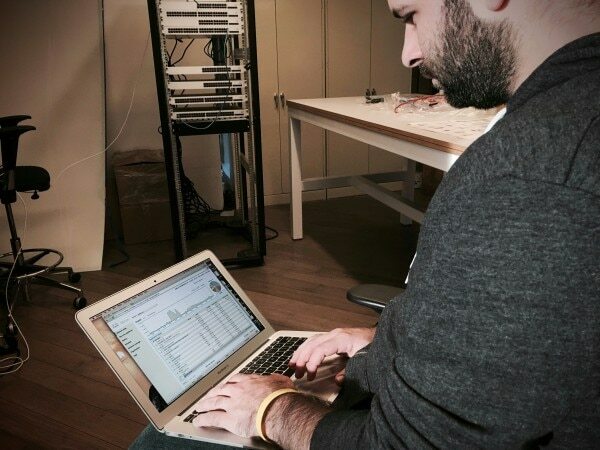 Suddenly it was easy to see how the wired network was being used, with the same level of detail as Meraki wireless customers had already been enjoying for years. While possible with other switches, Layer 7 visibility had never been so simple, and accessible. Suddenly the network engineer at HQ could easily troubleshoot switches deployed all over the state, the country, the world, to a level of detail previously unobtainable. Never before had it been possible to run an ad-hoc, full-blown packet capture on a network port thousands of miles away. Taken together, these developments quickly reduced the operational expense of running a switch network, particularly a geographically disperse one. One other new feature significantly eased the burden of multi-site management: virtual stacking. Virtual stacking was, and remains, transformational, eliminating the physical constraints of a switch stack – most commonly 4 or 8 co-located switches – and allowing multiple ports to be simultaneously configured based on a common variable. For example, all ports tagged ‘VoIP’, potentially running into thousands, can be simultaneously edited so they can be placed into the appropriate Voice VLAN. A newly created network access policy can be applied to every port facing network users across every company location. Virtual stacking was a groundbreaker and has helped thousands of Meraki customers improve management efficiency. The good news is that this week’s announcement of new physically stackable switches changes nothing for those customers happily using virtual stacking today. The feature remains a clear differentiator across the Meraki switch family. The new MS350 line of physically stackable switches was developed to address a couple of specific challenges our customers fed back to us. Firstly, bandwidth. It is now possible to create aggregated links between adjacent stacks of switches (or to a core/aggregation switch) comprising up to 8 x 10Gb/s links, with all of these forwarding traffic. Secondly, dedicated stacking connectors open up new connectivity and bandwidth possibilities. Connecting adjacent switches no longer requires the use of a regular SFP+ port, meaning these can be used for uplinks, or connections to high-performance servers. 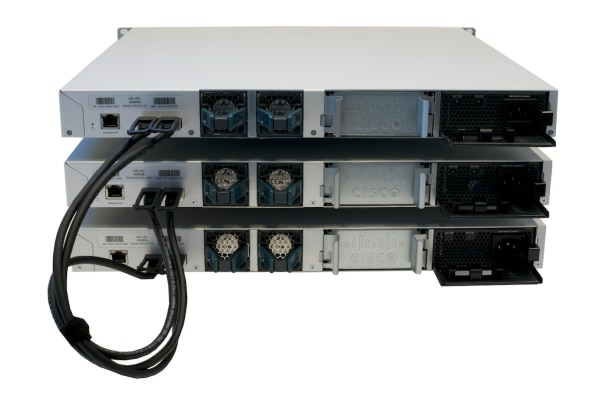 Also, the new stacking connections provide exceptionally fast throughput between switches in a stack; 80Gb/s full duplex from each stack connection on the switch. And because this is Meraki, you get a ½ meter stacking cable in the box with every MS350, with longer cables on the accessories list. To maximize stack bandwidth, a technology known as spatial reuse is employed. Packets destined for a device connected elsewhere in the stack travel via the dedicated stacking links on what we call a stack ring, from switch to switch. When the packet’s destination switch is reached it is removed from the stack ring, thereby freeing-up bandwidth on the ring for other stack switches to use. With spatial reuse, Meraki MS350 switches can provide up to 160Gb/s of aggregate stack bandwidth, ample for today’s high-performance network. If you’re wondering how the introduction of physical stacking impacts our much-loved virtual stacking feature, we have good news – nothing changes! The ability to configure thousands of ports simultaneously works identically across ports on both standalone and physically stacked switches. In other words, with Meraki stacking, you really can have your cake and eat it! We’re excited to be bringing these stackable switches to the market, furthering our push into enterprise grade networks. A new stacking whitepaper has been added to our documentation library, and don’t forget an evaluation is just a phone call away. Lastly, we regularly run switch-specific webinars where we demonstrate what it’s like to be a network engineer enjoying all the aforementioned capabilities and more.